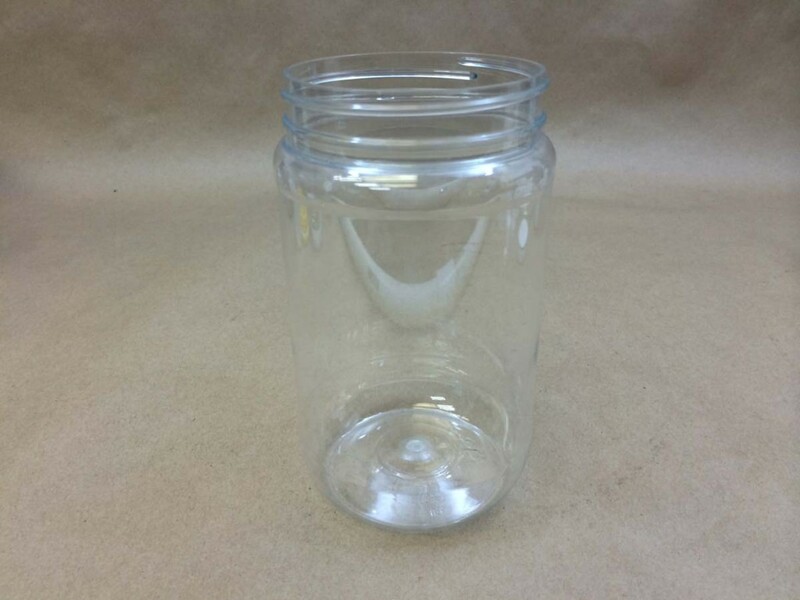 In the 40 ounce size, we offer a 40 ounce 89 400 PET jar and three 40 oz 120 400 injection molded jars. 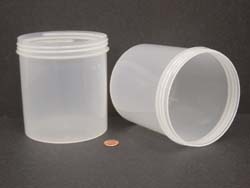 The 40 ounce regular wall injection molded jars have a 120 400 opening. They come in your choice of white or clarified polypropylene or clear polystyrene. All three choices are food grade. We also carry a 1250 cc jar with a 70 400 opening. 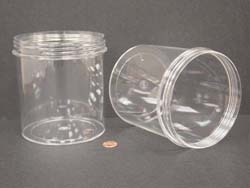 This jar is made with high density polyethylene. Caps can be found here. 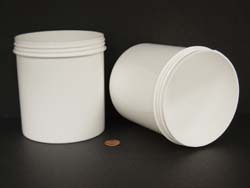 Our 40 Oz 120 400 regular wall injection molded plastic jar comes in three material choices. White or clarified polypropylene and clear polystyrene.